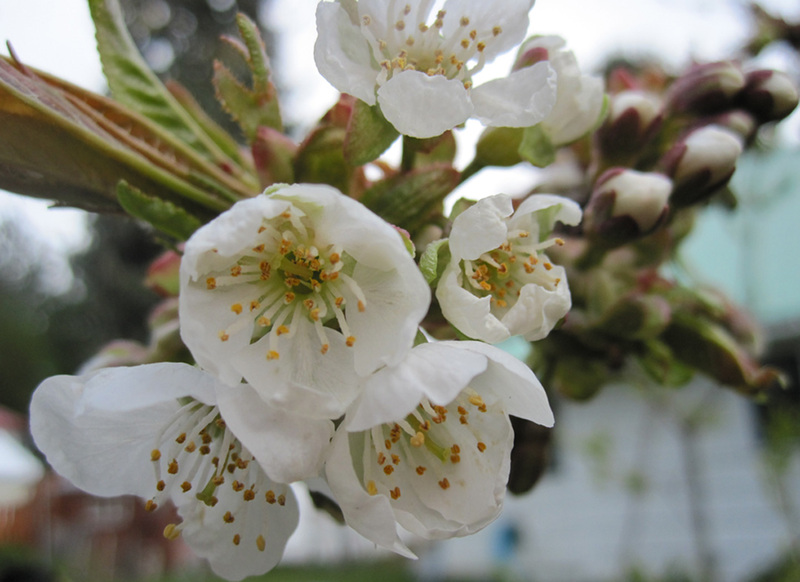 Cherry blossoms opening slowly: starting when the sun shines, stopping when the cold rain falls. Much wind and changing dramatic sky these days. Lush pinegrass in the scruffy patch of woods, lupine buds still held tight to their flower stalks. Cooper’s hawk divebombed the yard this morning, scattering the little birds every which way. It landed on the fence, giving me a close look at the long accipiter tail and fierce amber eye. WIngs opened and it tilted off. Peas are up, barely. Basil seedlings transferred to larger pots. Time to pick baby lettuce, spinach, radishes. Not time to put away sweaters and hats yet.